Today, my dear friend Poesy Liang turned 40, an important milestone in life. Instead of celebrating with a party she of course did something that’s completely apt: Showcasing her art at her pop up gallery on the embassy row of Kuala Lumpur City Centre. 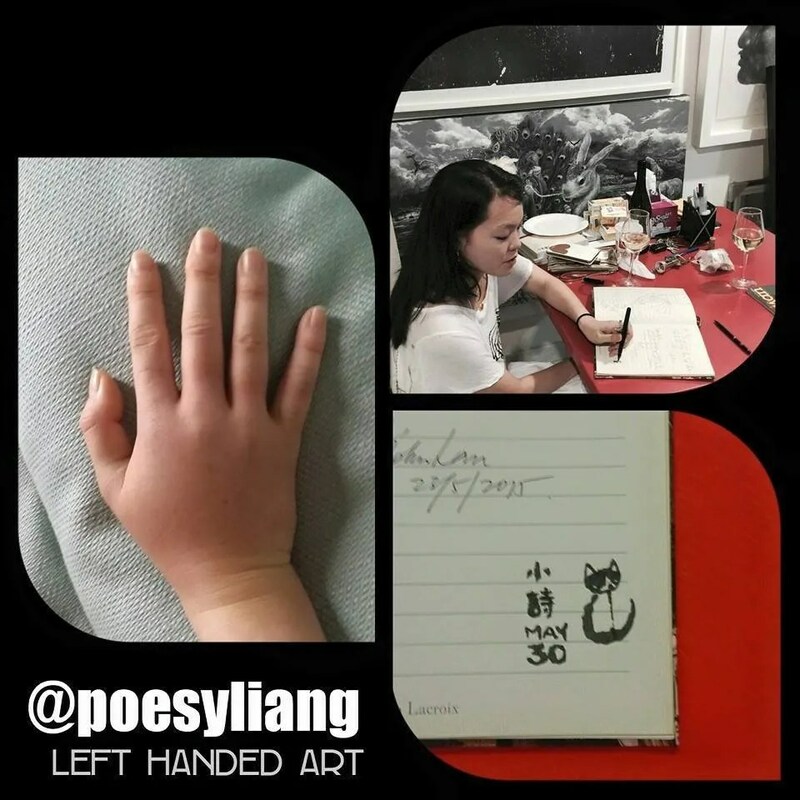 This time, featuring a brand new series: Poesy’s Left Hand Art. Poesy is indisputably a survivor, having suffered recurrent spine tumours that eventually caused paralysis from waist down since she was 16 years old. While she managed to walk albeit unsteadily all these years (despite what the doctors said), she still falls every so often. Whenever she does fall, she always try to break the tumble with her right hand. A painful accident happened back in May this year, while she was out with friends in the art circle one evening. She fell and sustained a nasty injury on her right hand after guest performing on stage (she sings too) which put her regular art production out of order for nearly 2 months. Having her most able limb somewhat out of order, she felt highly disadvantaged; as it was near impossible to go on her daily activities just relying on her left hand. As the Bangkok Charity Orchestra stage for Nepal approached in June and upcoming Europe trip, she had to quickly think of a way around this inconvenient injury. Originally she was crowdfunding for her European tour by selling her travel series of artworks called “Fly Me To The Moon”. After she injured herself, the art production ceased although she still had a sum to raise for her to get to Switzerland for Art Basel, then to South of France for Cannes Lions and to Italy for Venice Biennale. So what did she do? 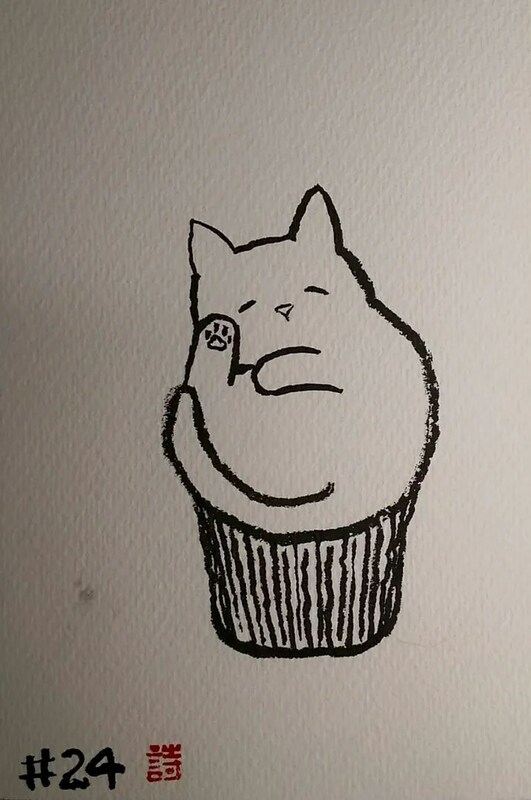 A few days after the accident, out of utter frustration, she picked up the brush with her left hand and doodled a little Harry Putter (her cat) in her friend’s guestbook during the visit to witness his collection by Malaysian artists. And since that wobbly cat signature, she has not turned back at all. Immediately this Left Hand Art series was born. to be done using her left hand. 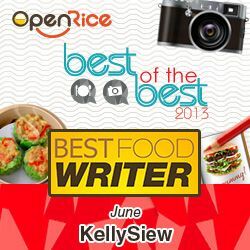 While she waited for her right hand to heal completely, she set her mind to get skilled with the left hand, she even learnt to cook with it too. 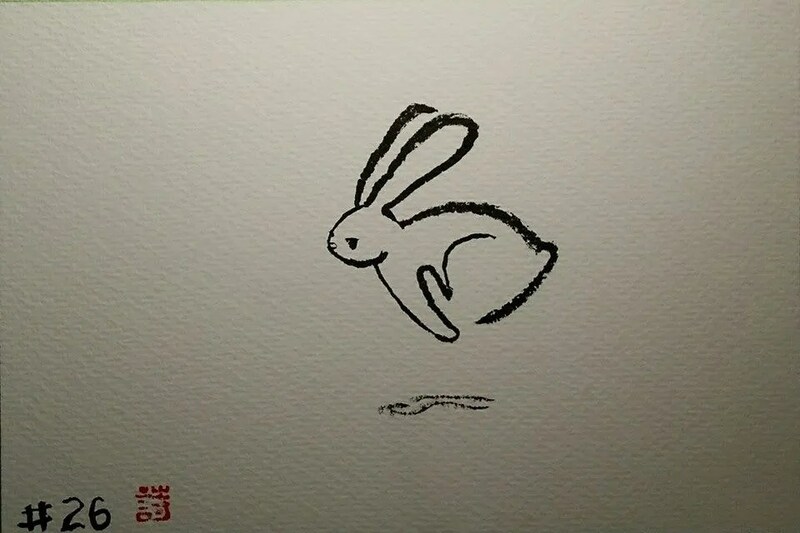 The Running Rabbit I reserved for the boyfriend. 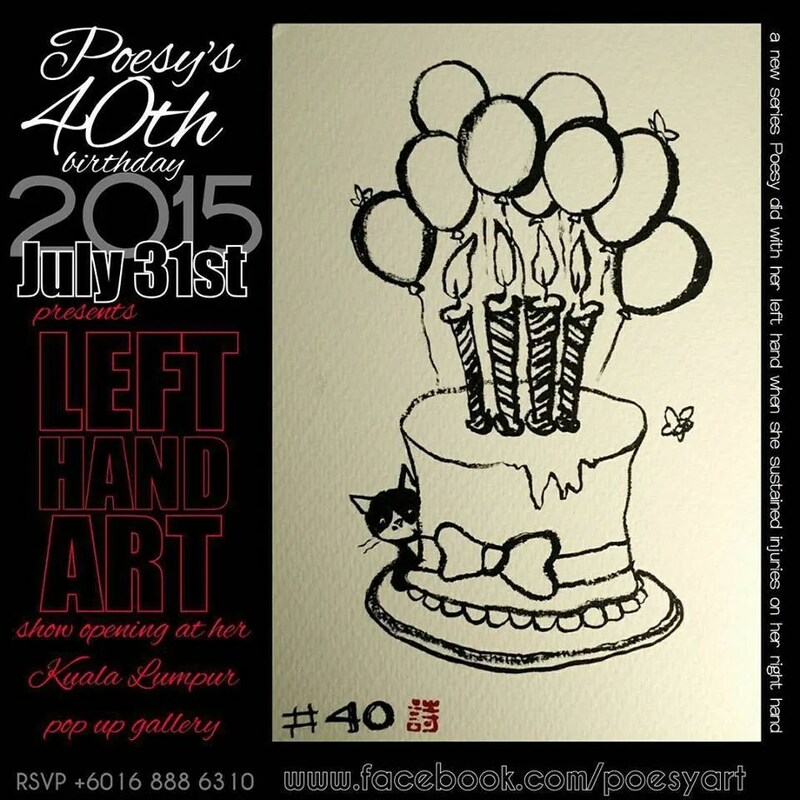 For this Left Hand Art series, she stopped at #50 this time to open the show for her 40th birthday weekend. 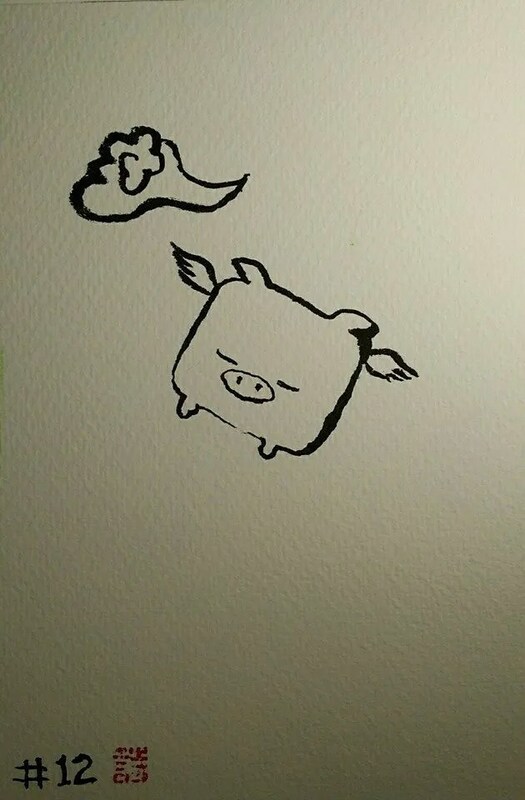 All 50 pieces were done with a Chinese brush. Many of the numbers have been sold before she completed the series, but available for viewing before she delivers them to their respective owners. So if you are free, do drop by at Poesy Liang Art Gallery today (til 6pm) or tomorrow (11.11am to 5pm). Another one I really like. The International Bank. Happy Birthday dear, and may you continue to be an inspiration for many. Much love to you.